Fendt Favorit 926 Vario Tractor. 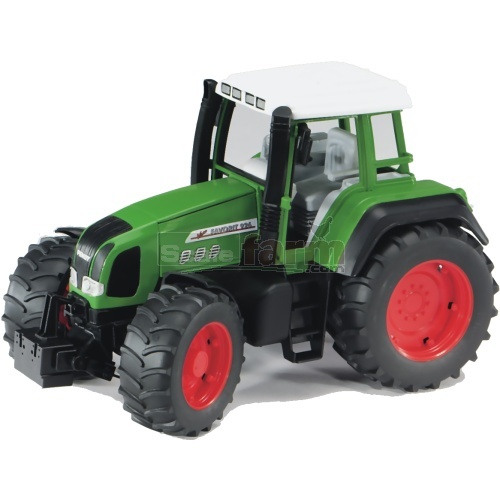 Just like all tractors of the Pro Series, this true-to-the-original Fendt tractor can also be equipped with a clip-on front loader and with twin tyres (sold separately). The off-road front axle can be steered via the steering wheel in the driver's cab. The engine bonnet can be opened to reveal the engine block. Detachable front weight with hoisting mechanism. Authentic tread tyres complete the picture. All of the numerous trailers and trailed implements of the Pro Series can be combined with the Massey Ferguson tractor.